A large group of Eumetopias jubatus resting on a rock in the waters of the pacific ocean. This image was taken off the coast of south eastern Alaska. 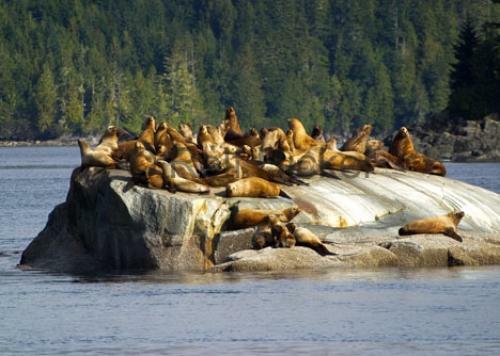 Photo of stellar sealions, Eumetopias jubatus on a rock in South Eastern Alaska, USA.